Josh has been using cannabis and our edibles for years to treat his cerebral palsy symptoms. “We’ve been treating it like it was legal for years anyway, so it didn’t make too much of a difference when they legalized it. It’s really great though, you don’t need a medical card or anything like that. 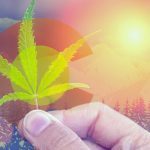 There’s dispensaries everywhere and it’s bringing in a shitload of tax revenue. I think a lot more states will start legalizing it,” he says. Josh says Blue Dream is his go-to strain for medicinal effects. “Some edibles, they’ll creep up on you. It takes a while and you don’t know if it’s working…but with this, within ten minutes, you’re feeling the effects of it.” says Blue. Because our suckers are dual acting, meaning both through your mouth (sub-lingual) and through your bloodstream, they’re also the perfect edible for medical patients with a quick but long lasting effect. 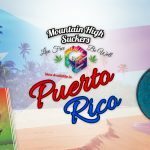 Mountain High Suckers is extremely proud to be working with Denver local Josh Blue over these last couple of years and are proud to be part of the Colorado cannabis community. Be sure to ask for Josh Blue’s Dream suckers by name at your dispensary and pick up one of these great cannabis infused suckers!